Services Unlimited Heating and Air, Inc.
Sunnydale Electric of North Carolina, Inc. Comment: I own a 1000 square ft single story townhouse. Currently have a Trane weathertron heat pump that is working. Desire to replace it. Comment: Want to replace current boiler and replace. Comment: Quoting a job to run fume hood venting out of the kitchen to the exterior of the house. Comment: Replacing 16 y.o. system for an upstairs level of a SFH. Durham Heating & Furnace Contractors are rated 4.76 out of 5 based on 734 reviews of 30 pros. 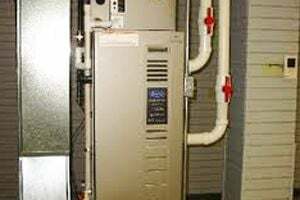 Not Looking for Heating & Furnace Systems Contractors in Durham, NC?